This is the “damned if you do, damned if you don’t,” card. 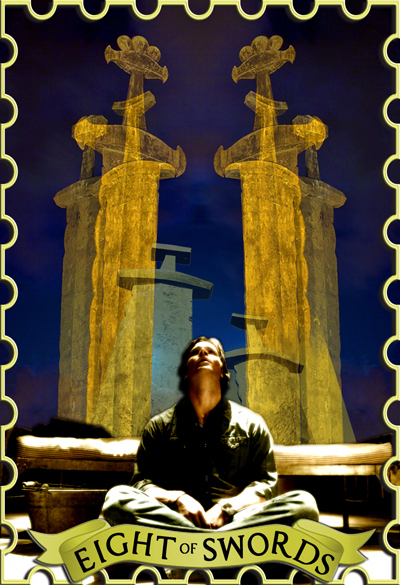 Sam is here in his cage of swords, not quite ready to break free of the demon blood and the plans of Heaven and Hell. His own fears keeps him trapped, but he will have to move soon, for the longer he lets the situation continue, the worse it will get.